← Get your Civic Good on! Show our local creeks a little love. Posted on September 10, 2013 | Comments Off on Show our local creeks a little love. It’s hard to believe that the lazy days of summer will soon be filled with school activities. While my children and I are past the dreaded back-to-school registration days filled with sign-ups, forms and lines, I still look forward to seeing the kids fill Osage Park for gym class, lunch hour and after school activities. As I walked the pathway in the park recently I realized an eerie quiet without the student body. In fact, it was quiet enough that as I neared the Northeast side of the park I heard the water from Cow Creek. The sound made me think about how landlocked we are in our community and the need to show our water sources a ‘little love’. The condition of our local streams and waterways contribute to the outstanding quality of life enjoyed by our residents. Unfortunately, hazardous waste is reaching our waterways through storm drains located in our streets and in our yards, polluting the local water environment. So while conservation in your home, yard and community is important to spare our liquid gold, we also need to protect our creeks from pollution. First up – Take your car to the car wash! 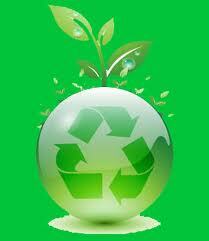 Commercial car washes use recycled water which help conserve fresh water sources for drinking. Additionally, carwashes are set up to prevent harmful oils and dirt washed off a dirty car from entering our storm drains and making their way to our creeks where they harm marine habitats, birds and other wildlife that depend on our creek water for survival. So have a latte (hopefully in a reusable cup) and be environmentally friendly while your car is cleaned at the carwash. Or support one of the local charity car wash events that are a popular way to raise money for schools or community groups in our area. If you’re a group considering holding a car wash to raise money, please contact the Town of Danville Storm Water Coordinator at 314-3342 to borrow a FREE car wash kit. The car wash kit comes with easy instructions on how to use it to prevent polluting material from entering our storm drains. Secondly, obtain permission from the owner of the event location to ensure that you can locate the car wash near an approved sanitary sewer drain or vegetated area to discharge your wash water. There are other ways you can be part of the solution to stop pollution in our creeks and waterways. Please do your part to protect the environment, by properly disposing of hazardous materials such as batteries, fluorescent tubes, household cleaning items, mercury thermometers, motor oil, automotive products, garden products, paint-related products such as paints, stains, varnishes, thinners, strippers, brush cleaners and other solvents, epoxies, glues, sealants, wood preservatives and aerosol paints. All these items can be brought to the recycling center operated by Contra Costa Central Sanitary District to protect both our waterways and your home and family from storing harmful chemicals that are flammable and combustible. For a complete list of items that can be brought to the recycling center, please visit http://www.centralsan.org/index.cfm?navId=158 or call 1-800-646-1431. The facility is operated by the Contra Costa Central Sanitary District and it is located at 4897 Imhoff Place, near the intersection of Highway 4 and Interstate 680, in Martinez. Also, local places like Ace Hardware in Alamo, Home Depot in San Ramon will accept fluorescent lighting and Whole Foods and CVS are great locations to drop off spent batteries. Before hazardous materials accumulate in your garage and then are improperly disposed of – I encourage you purchase products that are less harmful for the environment and your family. The marketplace is filled with products that are as effective as those dependent on harmful chemicals. Painting a room? Consider paints with low or no VOCs (Volatile Organic Compounds) to prevent harmful vapors. Applying pesticide around your home? Remember that good bugs are harmed along with those you wish to discourage when you use pesticides. It’s best to identify the pest first using a resource like the University of California’s resource for pest management http://www.ipm.ucdavis.edu/PMG/menu.homegarden.html or snapping a picture and asking for assistance at a local nursery on the proper treatment. Only purchase what you need and when mixing liquid pesticides, always read the label and use rubber gloves before you measure and do not mix on a hard surface, concrete or near a storm drain. Apply to the target areas or plants only. Don’t overuse or over-water after application. This is one of the most direct ways pesticides enter our waterways. Alternatively, try a natural remedy made with common household ingredients which are safer and are a low-cost alternative to more toxic pesticides. Here’s my favorite general insect spray: Mix 1/2 cup chopped red chili peppers and several cloves of garlic with 2 cups water in a blender. Process briefly, then strain the plant matter from the liquid. Pour the red pepper liquid into a spray bottle. Add 1 tbsp. liquid dish soap to help the spray adhere to the plants. If you are dusting the soil to deter crawling pests, look for red pepper or cayenne pepper in the spice aisle of your grocery store or purchase food grade diatomaceous earth at a nursery or online. Want to help protect our creeks? Contact Mary Grim at Friends of San Ramon Creek at marygrim27@gmail.com. 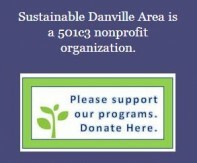 Visit sustainabledanville.com or follow us on Facebook for more environmental friendly information. This entry was posted in Cynthia Ruzzi, TIP OF THE MONTH BLOG and tagged clean water. Bookmark the permalink.